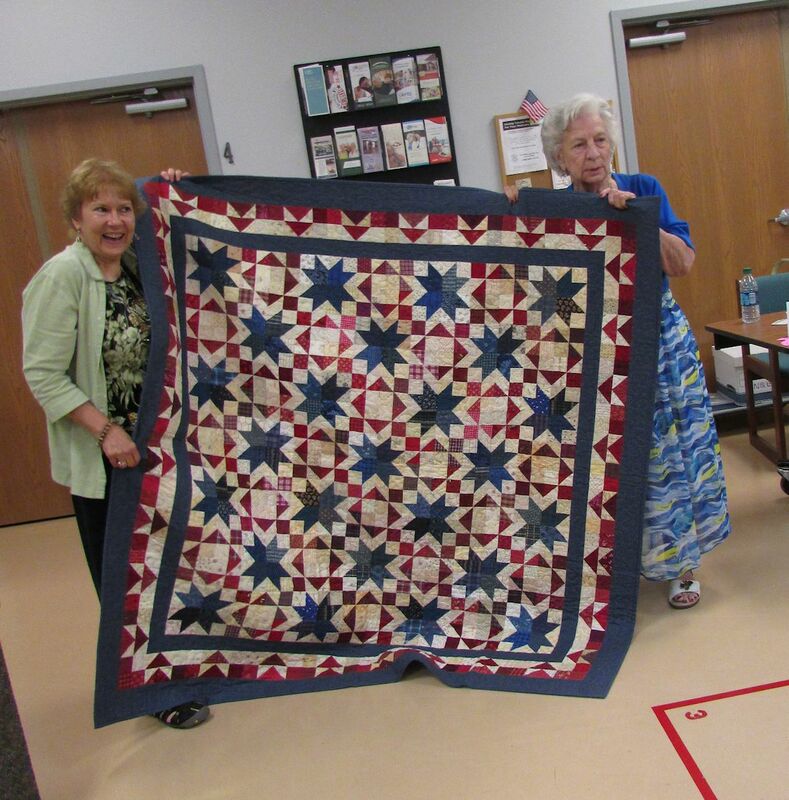 Pat Speth TRUNK SHOW and Lecture at EVENING STAR QUILT GUILD ….. This post is going to be fast as it is almost 11 pm and I have to work tomorrow. I am posting pictures ( with permission from Pat Speth) She gave a wonderful trunk show and lecture tonight at our guild. The quilts featured are from her books. I am posting links to her blog and Facebook pages. The rest of this post will just be some pictures …. I will update this post some time this weekend. 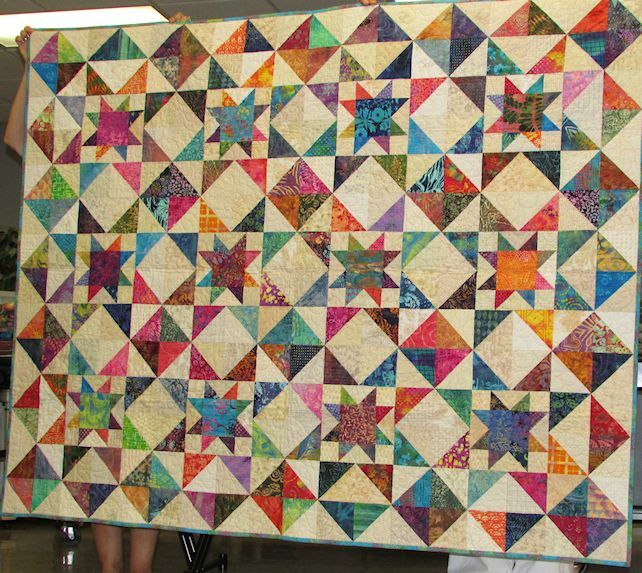 STAR AND CROWN QUILT donated to Genesys Hospice Fundraising Auction. 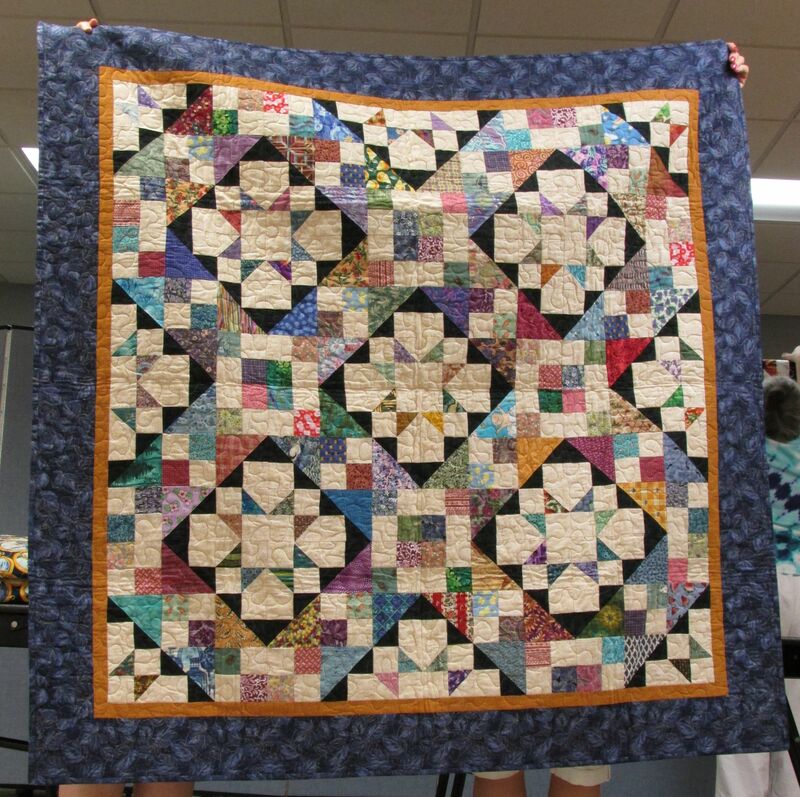 * * * I almost forgot… Pat donated a quilt to the GENESYS HOSPICE FUNDRAISER. The guild members all thought it was a generous thing to do. I am posting the picture here in it’s full size so you can see all the details. The name of the quilt is STARS AND CROWN. It was made with what Pat calls… SMALL WONDER UNITS …. 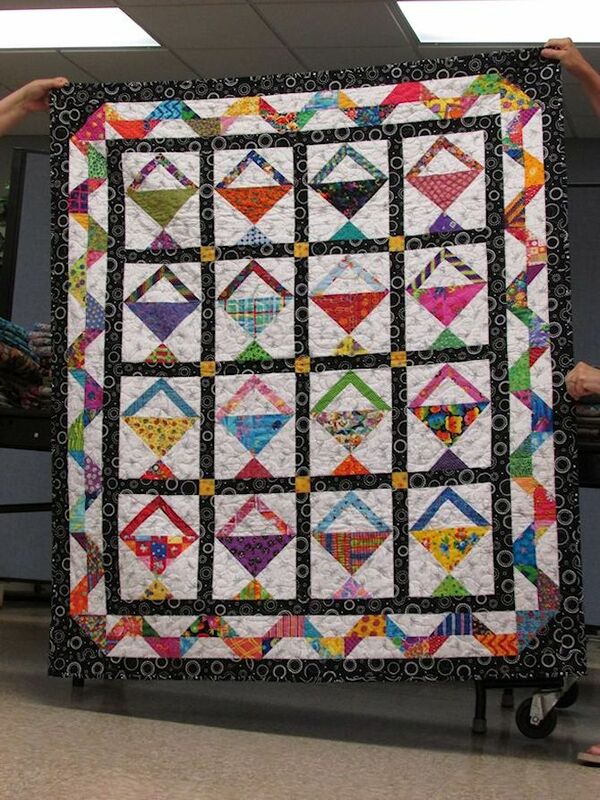 The pattern for this quilt can be found in her store …. 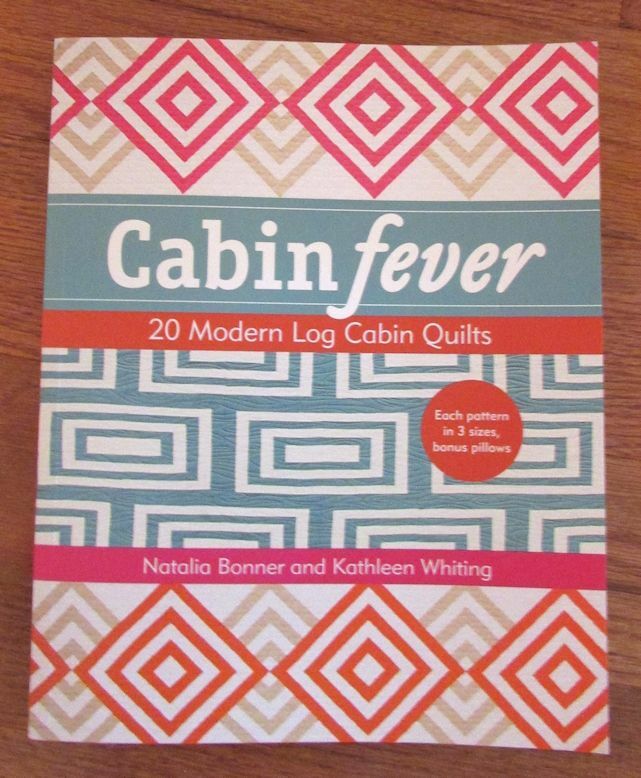 I just got CABIN FEVER by Natalia Bonner and Kathleen Whiting. First reason to like the book is the great eye candy in it. 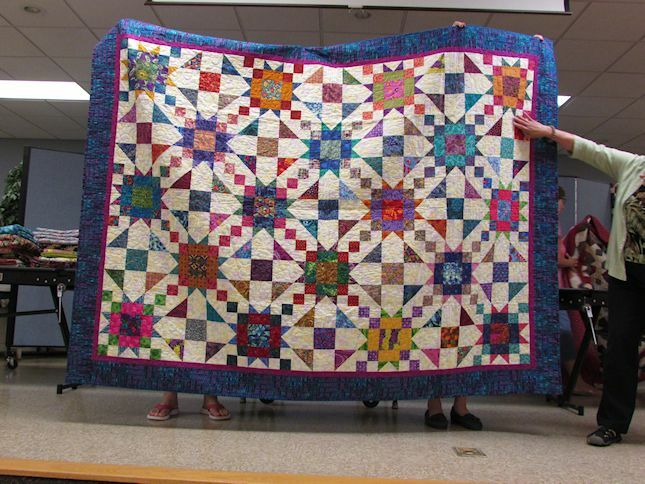 Lots of pictures of pretty quilts with great layouts and beautiful free motion quilting. 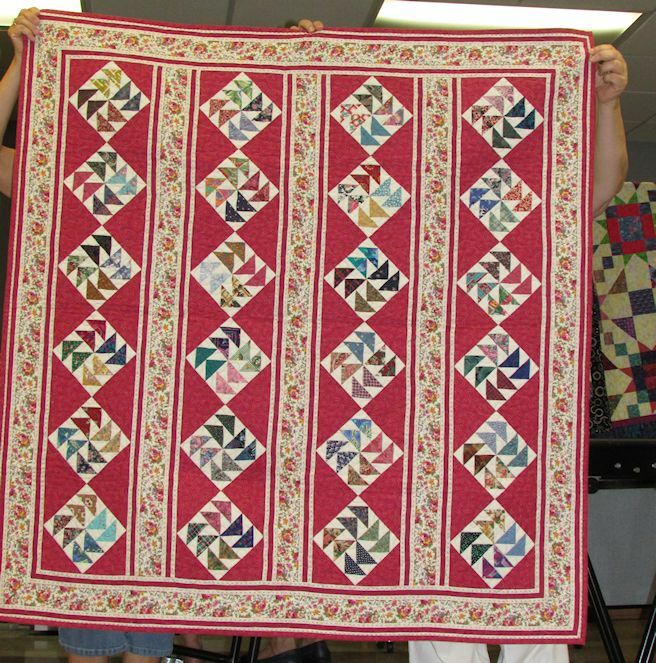 And no I have not made any of the quilts in the book…. YET. After all I have only had the book in my position a couple of days. I am once again drooling over the patterns in the book. I have a number of young nieces and nephews who all show preferences for graphic, modern art designs in the furniture and homes they have. The quilts in CABIN FEVER have a definite modern flair, most of them using the traditional log cabin technique to make the blocks. 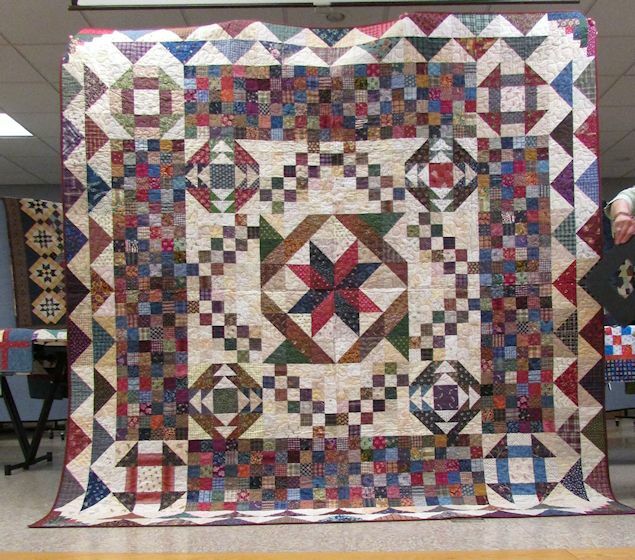 There are several quilts that use more innovative piecing techniques. I like how the book takes a small block and then by twisting and turning it turns it into different position to make a lovely layout. I also like how the books present alternate color-ways for each block. 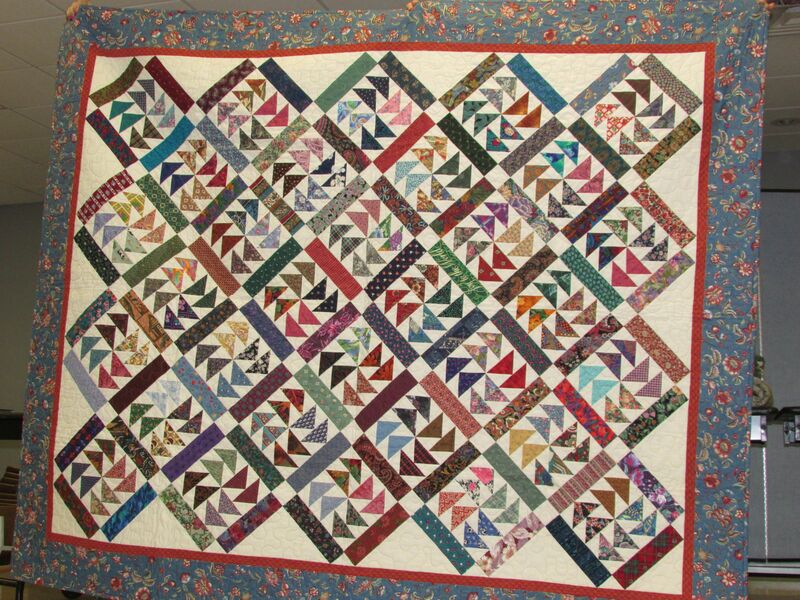 It gives you the idea of what the quilt would look in different colors. If the quilt is done as a neutral in the book then the other blocks are cool and warm. This is continued in all the patterns. All of the quilts have a picture of a flat lying quilt hung on a wall. 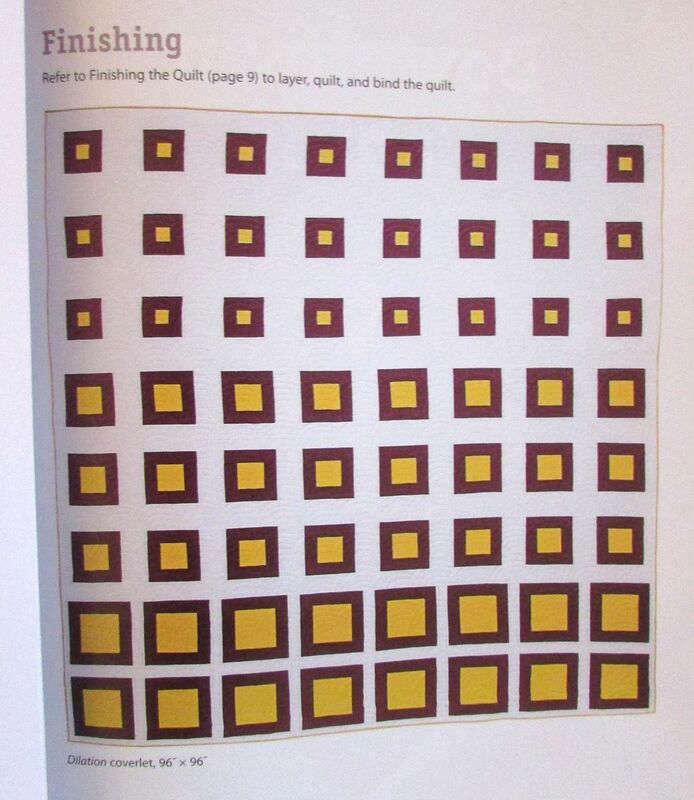 I love these kind of pictures as this gives me the best idea of how my quilt will look. I also like being able to draft the patterns of the blocks in EQ7 when I make a quilt because this allows me to see what my fabrics would look like in a quilt. And yes sometimes I make modifications to blocks/ quilts as I adjust the patterns to my own needs. 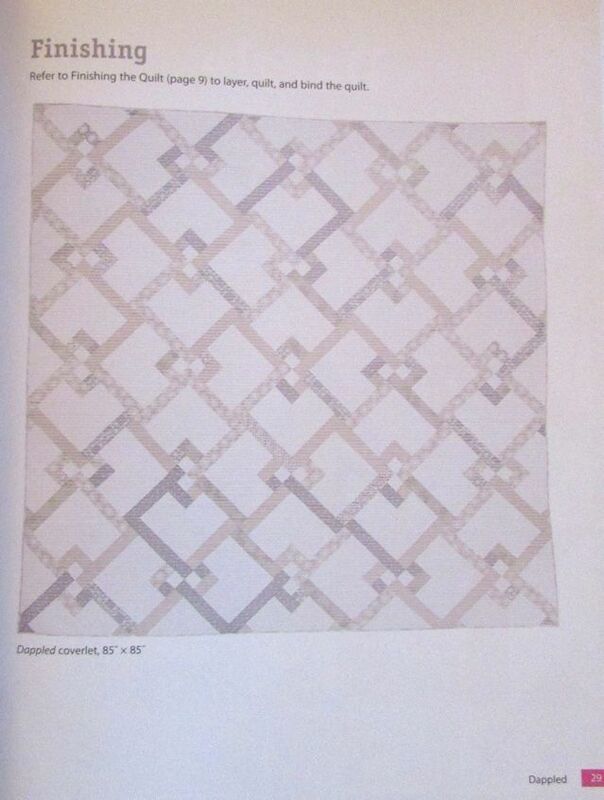 I liked how the book also included directions for multiple size quilts, usually baby ( 36 in square) throw ( approximately 60 x70 inch) and coverlet / bed quilts ( queen and king size.) Natalia and Kathleen also threw in some patterns for pillows that were really cute. The beginning of the book gives several lessons in basic techniques i.e. strip piecing, half square triangles, snowball corners. I always find that reviewing basic techniques is helpful to me. I also have never used a strip piecing technique to make a quilt, so this will be a great adventure for me. The one thing I do not like about the book is the lack of sizes for the finished patches. I personally find this lack annoying in many block patterns. I like to know what size each step of making a block should finish so that I can check my sewing as I go along. I hate finding out the blocks I have made came out the wrong size because I made the base patches the wrong. Please authors put the sizes of the patches in the pattern as they are sewn together. Yes I can figure it out for myself but I paid for the book / pattern and think this should be in the pattern. I am very lazy and do not want to figure it out for myself. All in all I think the book is worth the money I paid for it and I have found I liked all the quilts and did not find one I would not want to try in the future. 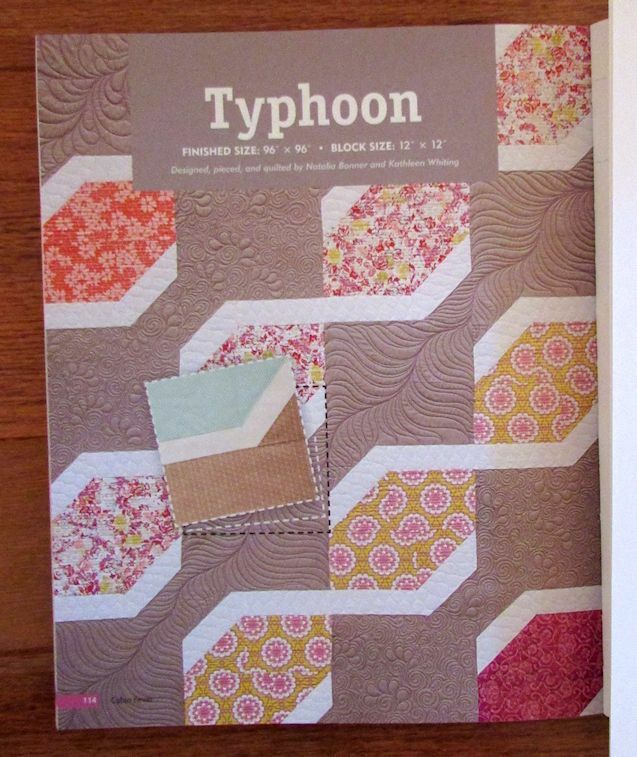 For Gretchen who always asks which is my favorite quilt I will say I am currently leaning toward … TYPHOON, DILATION, and DAPPLED but I can honestly say I did not find a quilt I did not like but it depends upon the material used. I do think the fabric available in my stash might be the biggest set back to this quilt as I do not have similar fabrics in my stash to make these patterns. I have older fabrics (mostly 5-10 years of age) in my stash and not of the same styling. I also think I might have problems doing strip piecing of an entire quilt as I do not have a lot of yardage. I have fat quarters and half yard cuts, most of these quilts require yard to 2 yards ( or more) for an entire bed quilt. My stash does not lend itself to that kind of sewing. I can probably make the more scrappy quilts but not any of the all -over colored / two quilts. If I do make the quilts I need to buy new fabrics. Come to think of it … the challenge of quilting is to take a pattern and make it YOURS . . . . . I think you can see why I love these quilt patterns.